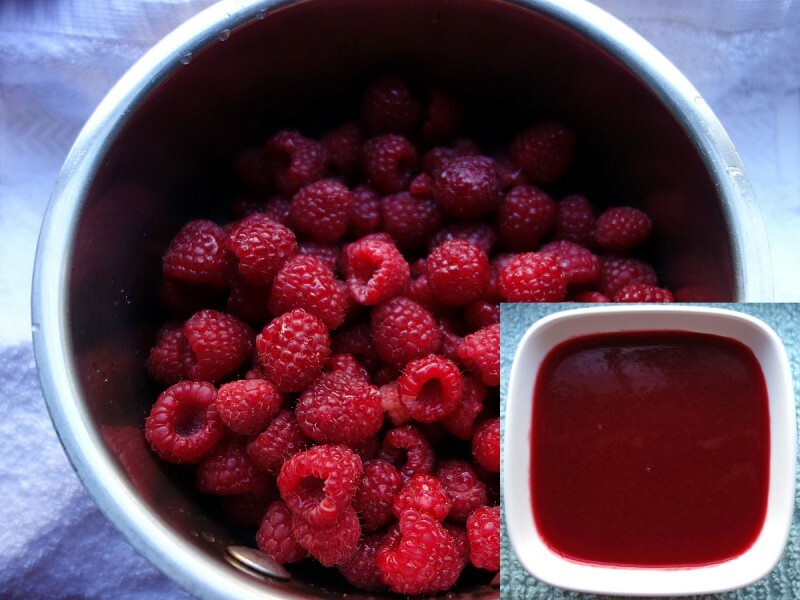 In a small saucepan, over low heat, combine all the ingredients and simmer, stirring occasionally, until the raspberries begin to fall apart. Remove from heat and cool. Puree in a blender. Pass mixture through a fine strainer, a chinois or a cheesecloth-lined strainer or colander to strain seeds. If the sauce is too thin, you can reduce it by further cooking over low heat until it reaches the desired consistency.